Natures Elements Maitake Mushroom tablets contain 30% polysaccharides and uses only the highest quality fruitingbody parts of the mushroom which are rich in complex polysaccharides; including the heavy and complex 1,3; 1,4; and 1,6 beta-d-glucans. Maitake Mushrooms Have Been Consumed For Over 3000 Years! Maitake Mushrooms are known in Japan as "the dancing mushroom" and have a long history of traditional use. Maitake is also known as the "hen of the woods," "sheep's head" and "king of mushrooms" due to the fact that they can grow to more than 100 lbs. Maitake mushroom (Grifola frondosa) is made up of polysaccharides called beta-glucans, which have shown to be very effective in stimulating the immune system. A polysaccharide is a complex carbohydrate containing small sugar molecules which balance blood sugar, blood pressure, and can effect free radicals. Maitake is one of the most encouraging medicinal mushrooms studied around the world and is known for supporting normal cell growth. Maitake is one of the healthiest foods around and is rich in minerals such as magnesium, potassium and calcium. Some vitamins found in Maitake are Niacin, B2, D2 and amino acids. Maitake also contains L-glutamate which provides a pleasant flavor and taste. Try with some vitamin C. Research shows that vitamin C increases the absorption of polysaccharides in the body. Try taking with orange juice or add vitamin C to your maitake routine! One way you can gauge the potency of your Maitake Mushroom is by finding out if it is an Extract. Extracts can be 10, 20 or even 100 times the concentration of a powder. For Example If you compared a Maitake Mushroom powder tablet to a Maitake Mushroom 10:1 extract tablet you would find it would take ten tablets of the powder to equal one tablet of 10:1 extract. Which one do you think offers the best results? The irony is that powders are often marked up very high, and while extracts cost vitamin companies much more it might not cost you more. Here's one way to look at it. We know that ten powder tablets equal one 10:1 extract tablet. Lets say the extract version costs 3 times more; however you get close to 7 times more Maitake so the value clearly lies with the extract! How Long Should I Take Maitake Mushroom? 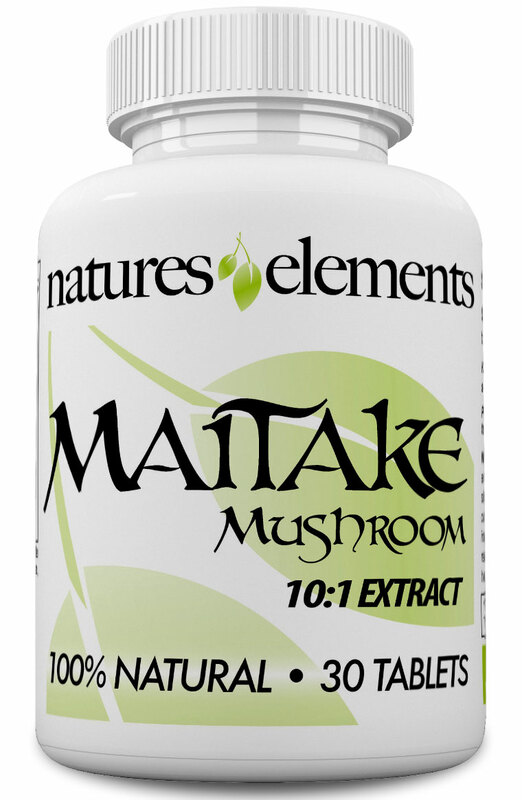 Maitake Mushroom is taken daily with one small easy to swallow tablet. 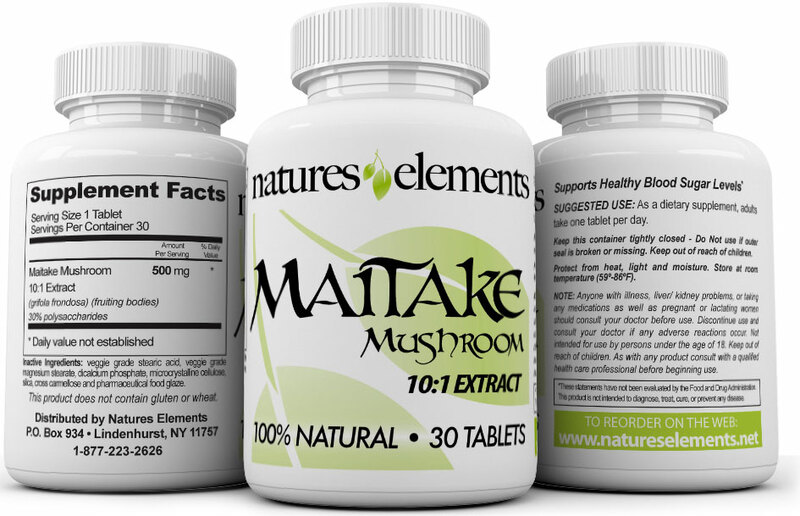 Each bottle of Maitake Extract Tablets contain a 1-month supply. Although Maitake Extract may work quicker from one individual to the next, we recommend you use it on a daily basis for the recommended period of time. After consistent use for at least 3 months, you should begin to see and feel results. You may achieve continued results the longer you are on the product. Be sure to order an ample supply. Natural medicine is designed to create a holistic balance within the body and can take time to propagate through your system. Be patient stick with it...you’ll be glad you did! You can choose monthly or bi-monthly auto-ship by choosing Auto-Ship from the drop down menu above and choosing your shipment interval. In your first shipment you will receive a letter that states your next auto-ship date. After your receive 3 bottles you can do nothing and continue receiving regular shipments or you can cancel by calling us at 1-877-223-2626 or emailing at info@natureselements.net. There is no fee for canceling. Should not be used during a severe illness such as cold and/or flu, or during an infection. Those with Spleen deficiency and/or those who commonly experience loose stools, diarrhea, poor appetite or chronic digestive weakness should use with caution. Anyone with illness, liver/ kidney problems, frequent use of alcohol or taking any medications as well as pregnant or lactating women should consult your doctor before use. Discontinue use and consult your doctor if any adverse reactions occur. Not intended for use by persons under the age of 18. Keep out of reach of children. The products and the claims made about specific products on or through this site have not been evaluated by the FDA and are not approved to diagnose, treat, cure or prevent disease. The information provided on this site is for informational purposes only and is not intended as a substitute for advice from your physician or other health care professional. You should not use the information on this site for diagnosis or treatment of any health problem. You should consult with a healthcare professional before starting any diet, exercise or supplementation program, before taking any medication, or if you have or suspect you might have a health problem. Great service fast delivery. Very satisfied.